For much of his career, Carlo Orrico cooked Italian-American standards at restaurants he owned or co-owned in East Rutherford, Fair Lawn and Piscataway. But the food he cooked at home for his family was different. It reached back three generations to his roots in Campania in Southern Italy—simpler, humbler food, but splendidly so. Orrico named Da Pepo for his father, Pasquale, known as Pepo. “Our hope,” explains Carlo’s son, Carlo Jr., “was to find an audience for these dishes that were in danger of being lost.” Dishes like traditional spaghettoni carbonara; rich meatballs with whipped ricotta in thick red sauce; lancia e scudo, asparagus wrapped in mozzarella and prosciutto, breaded and fried; and panini. The restrooms are in the adjoining bookstore, which tempts you to browse on the way back. Da Pepo has just 19 seats, including three at a narrow counter. They don’t take reservations, so go early. You’ll want to go often. Da Pepo, 54 Fairfield St. in Watchung Plaza, has hit the Montclair restaurant scene running, offering authentic home-style Italian food for both lunch and dinner. 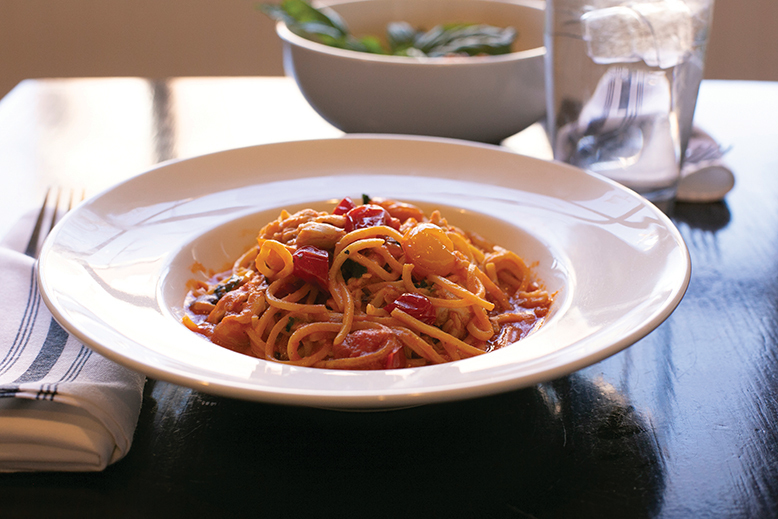 From small plates to pastas with salads and paninis, there is something here for every diner. In addition to Da Pepo’s everyday delights, the restaurant runs specials that change daily. And be sure not to forget about dessert: Da Pepo’s tiramisu, a beautiful variation on one of my favorite Italian classics. The mix of espresso, chocolate and mascarpone is well executed. And, the dessert balances textures, flavors and even temperatures, which is so important for this dessert to work properly. da Pepo featured on Baristanet: A Little Pasta With Your Paperback? 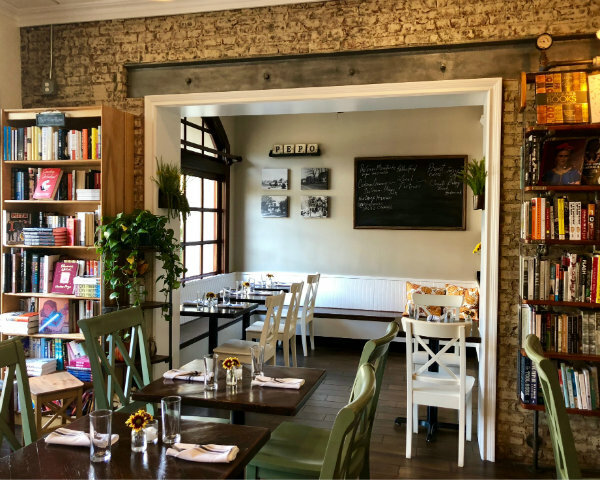 If you were sad to see Tiny Elephant close up shop in the adjacent space to Watchung Booksellers, there’s good news for book lovers who crave sustenance, too. da Pepo, La Cucina del Nonno, has opened up, taking over the bright, inviting space just steps away from the stacks, with a menu of old country dishes worthy of your Italian grandfather. Dine in or take out pasta, paninis, salads and small plates (mozzarella in carozza or meatballs with whipped ricotta both sound enticing), as well as kid-friendly options, too. If you’re looking to stop for coffee and something sweet, there’s espresso, cappuccino, machiatto, teas as well as tiramisu, gelato and affogato.